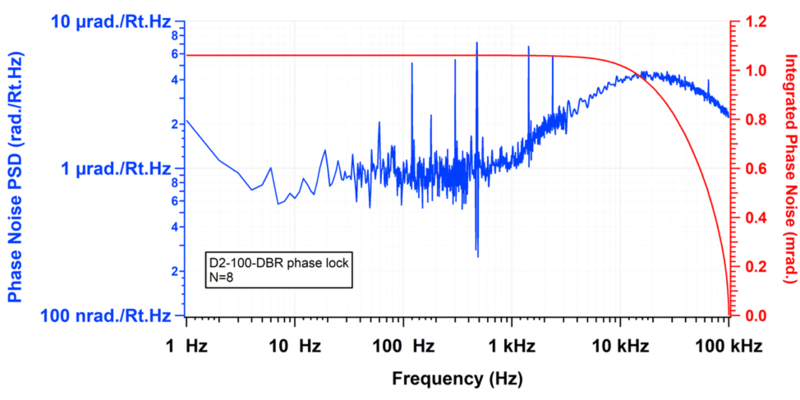 We measured the phase noise between two phase locked D2-100 DBR Lasers. The phase noise (integrated from 1 Hz to 100 kHz) was measured to be <1.1 mrad. Read the complete application note here.